We offer Learn to Swim and Fitness Classes year round! 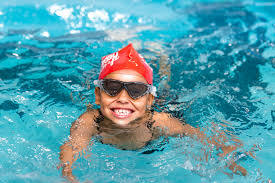 The Kettering Parks, Recreation and Cultural Arts Department provides American Red Cross Swim programs for people of all ages and abilities. All classes are held at the Kettering Recreation Complex. 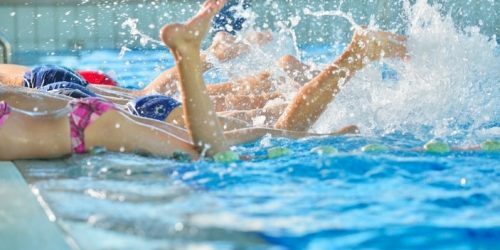 The Swimming and Water Safety program helps people of all ages enjoy the water safely and act effectively in an emergency situation. Courses are fun, interactive and lead participants to incorporate swimming and water safety into their lives, whether they make swimming a part of a lifetime fitness plan, swim or dive competitively or even train to become Water Safety Instructors. Some of our upcoming programs are highlighted below. You can always view our entire program offering by browsing the Spring Activities Guide and Summer Activities Guide. Children ages 4 and 5 learn water safety, survival skills and foundational swimming concepts in a safe and fun environment. Skills are age-appropriate, allowing students to achieve success on a regular basis. The American Red Cross six-level Learn-to-Swim program is unlike anything offered by other learn to swim programs. The program is designed for children over 6 years all the way up to adults, and students progress through the levels at their own pace, mastering the skills in one level before advancing to the next. Each level of our Learn-to-Swim class includes training in basic water safety and helping others in an emergency, in addition to stroke development. Participants must receive a certificate of completion or approval from the Aquatics Instruction Coordinator before moving on to the next level. Each participant will receive an American Red Cross Achievement Booklet. Bring your booklet to class and your instructor will complete the skills check off pages for you! 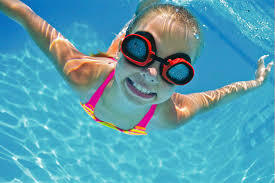 Jessica.Moffitt@Ketteringoh.org or call 296-3368 and ask for Jessica Moffitt to schedule a FREE swim test. The Red Cross has a free mobile app to help parents and caregivers of young people learning to swim. The app is designed as a companion to the Red Cross Learn-to-Swim lessons and preschool aquatics programs, and provides water safety information to adults and children. It is ideal for adults or children who want easy and accessible information on water safety and drowning prevention. The app can be found at redcross.org/prepare/mobile-apps (click swim app) or downloaded directly from the iTunes (search: swim American Red Cross) or Google Play app stores.